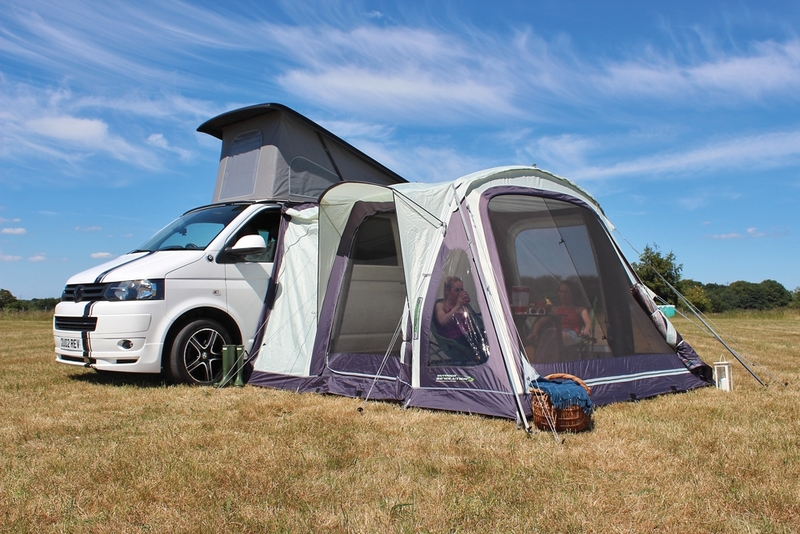 Outdoor Revolution have found various ways to improve the best-selling premium fast pitch Movelite T2 lightweight drive away air awning weekender for the new season, allowing it to retain its reputation as the most popular mid-sized driveaway awning for families, couples, or individuals, who crave flexible living, sleeping, or storage space in addition to their van. We have redesigned the roof structure as a shallow gothic arch to grant additional strength and stability, whilst vastly improving water run-off; this is combined with sleek panel styling and light coloured tube covers for the classic, definitive aesthetic that we all know and love. An abundance of NEW features have also been implemented, including a deeper tapered connecting cowl for increased vehicle accessibility, waterproof zips in either cowl door, as well as further ventilation in the interconnecting zip back interior cowl door. 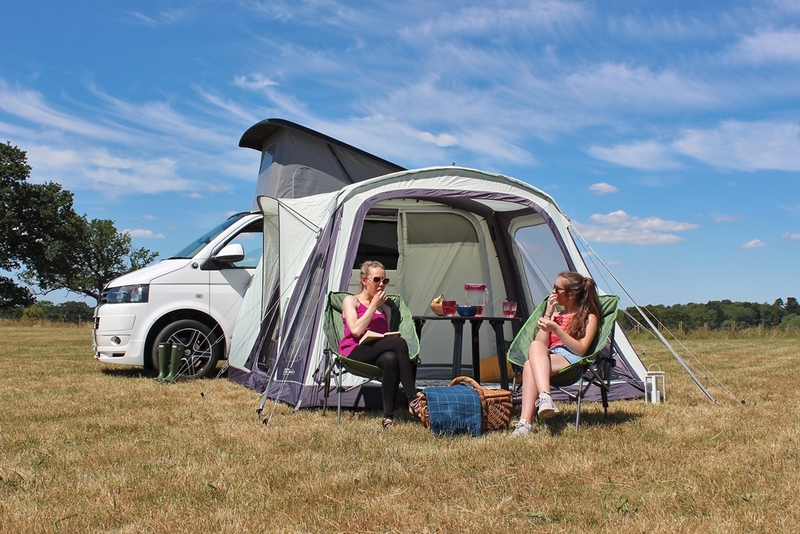 Three ergonomic height options ensure that this model is compatible with practically every campervan or motorhome on the market. An optional coordinating canopy can also be zipped onto the front of this awning to grant superior protection from the elements. Are you looking for the Movelite T2 Midline (2019)? The lightweight 480HDE double rip stop fabric weave provides the optimum strength to weight ratio of any material, providing the longevity and performance of much heavier, denier fabrics, without their impracticalities and weight constraints. 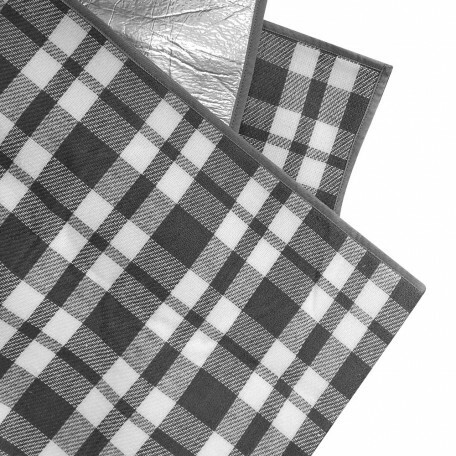 This material incorporates a 6,000mm² hydrostatic head and has fully taped seams throughout, meaning the fabric is exceptionally waterproof and rain will simply bead onto the surface, before rolling off. 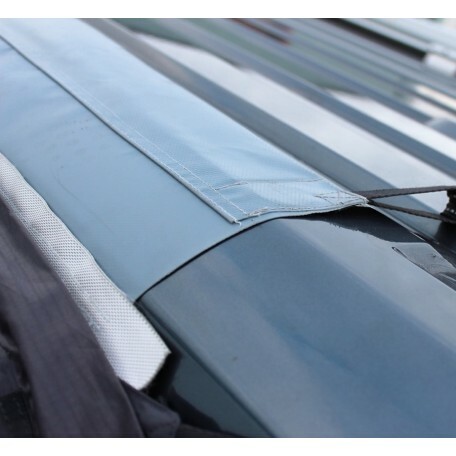 A lighter coloured roof material reflects heat to retain a comfortable temperature inside the awning, whilst the engineered double rip stop weave provides a contemporary look and feel, whilst preventing accidental damage from worsening. The workmanship and canvas possess a 12 month warranty against any manufacturing faults. The Oxygen Air-Frame is the quickest, simplest and most reliable inflation system on the market, with no adjoining pipes/taps spoiling the immaculate lines of our stunning designs. The air frame comprises our inflatable high pressure twin tube air frame technology, a single telescopic roof rigidity pole, the famed Dynamic Speed Valve and patented Intelligent Frame Relief Valve. Inflation is rapid using the pump provided, and deflation is just the push of a button; our exclusive pressure relief valve prevents damage to the tube by expelling any excess air, typically caused by over inflation or changes in the ambient temperature. All valves are discretely concealed by a velcro cover. The Dura-Tech frame has been quality controlled to ensure optimal performance and holds our exclusive Lifetime Guarantee* for peace of mind in years to come. The Oxygen Air Frame is the Quickest & Most Reliable Inflation System on the Market. Take a Look at How Easy It Is to Inflate Your Airframe. Expansive tinted anti-glare windows grant an excellent vista of the surrounding environment and protect against any harmful UV rays, whilst increasing privacy and illuminating the awning interior during daytime hours; these are accompanied by embossed zip-in curtains, which can be zipped fully out and rolled back, or zipped completely out for additional privacy at night. The extra-deep rear cowl found on this model utilises a tapered profile side for a weather tight fit, plus facilitates both left and right hand entry to ensure accessibility to vehicles from the UK and Europe; these feature waterproof zips and ventilation (with zip down draft covers) on each side. 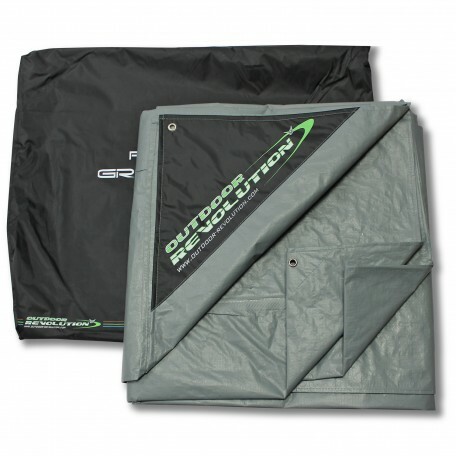 A sewn-in groundsheet increases convenience when pitching, whilst reducing the number of bugs that reach the living area and preventing water ingression to the interior. The addition of twin piping (6mm x 4mm) permits compatibility with both caravans and motorhomes within the corresponding height range. We have implemented Phoenix Mesh fly screen panels in the side and front doors to optimise the through flow of air in the awning and keep insects at bay; an assisted healing smart material with the structurally incorporated ability to repair snag damage, typically caused by consistent usage. Simply manipulated, the mesh will then return to its original form. 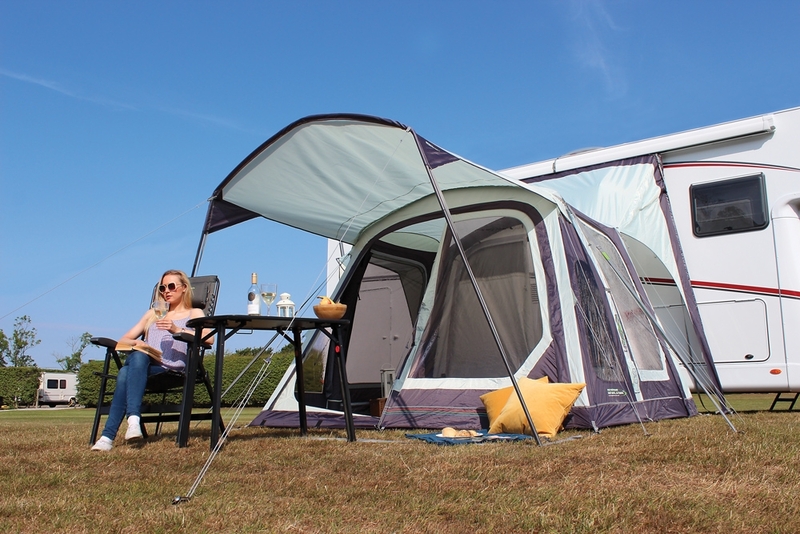 A NEW integral side eyebrow canopy has also been implemented, creating a convenient mini porch, area where you can relax outdoors, whilst sheltered from the elements. Each door panel can be zipped completely in, or zipped fully back, enabling this product to function as a gazebo in summer. This product comes complete with reflective guylines, adjustable tensioning/fixing straps, a handy repair kit, rear cowl height tensioning adjusters, a dual action hand pump, steel ground pegs, an electrical hook up point, and attachment points for our ‘Lumi-Link’ and ‘Up/Downlighter’ lighting systems. 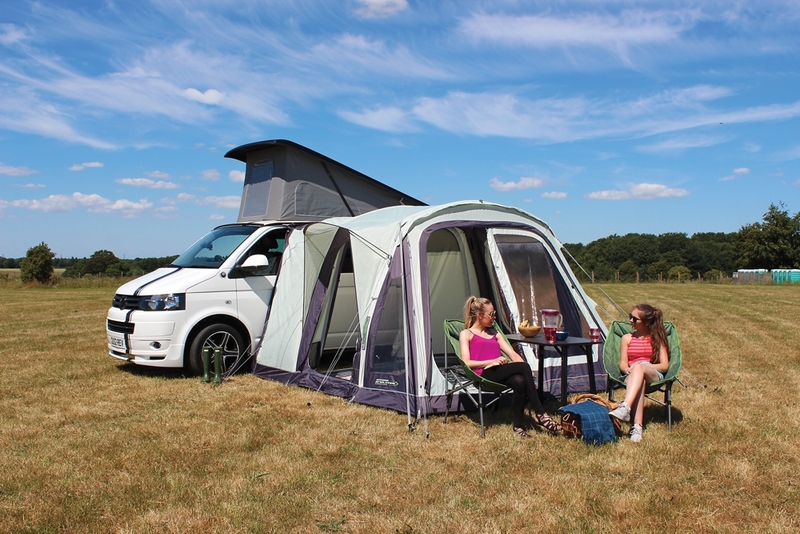 There are an array of complementary optional extras available to purchase with this model, including coordinating zip-on canopy, additional mesh door panels, a luxurious made to measure carpet and two berth inner tent. 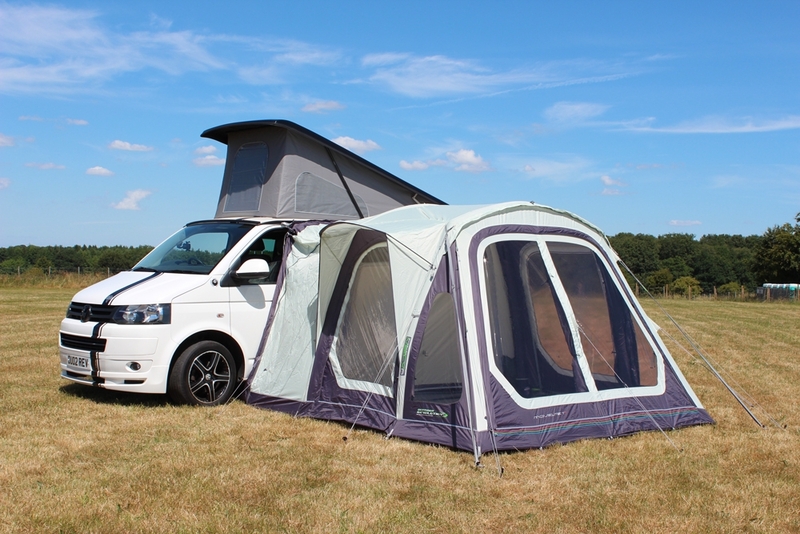 1) Movelite T2 Lowline – Designed for Lower Campervans & Van Conversions, Fitting Awning Rails Between 180cm-220cm Tall. 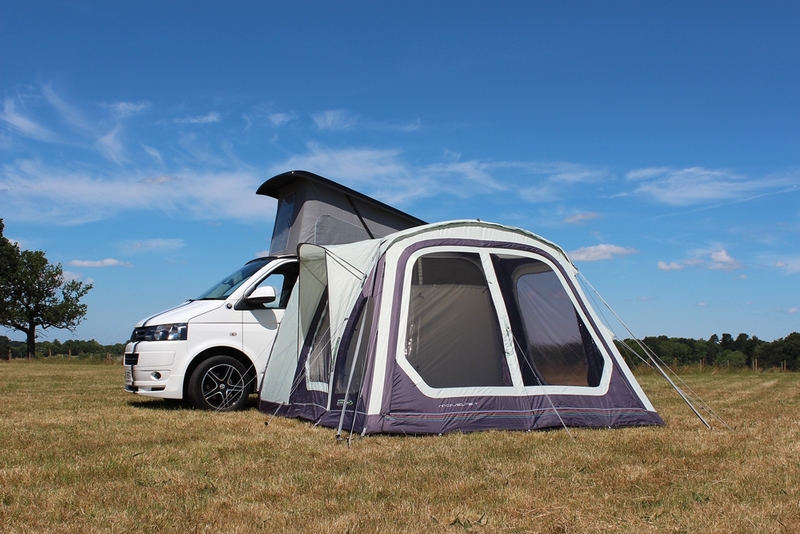 2) Movelite T2 Midline – Designed for Taller, Coach Built Motorhomes, Fitting Awning Rails Between 220cm-255cm Tall. 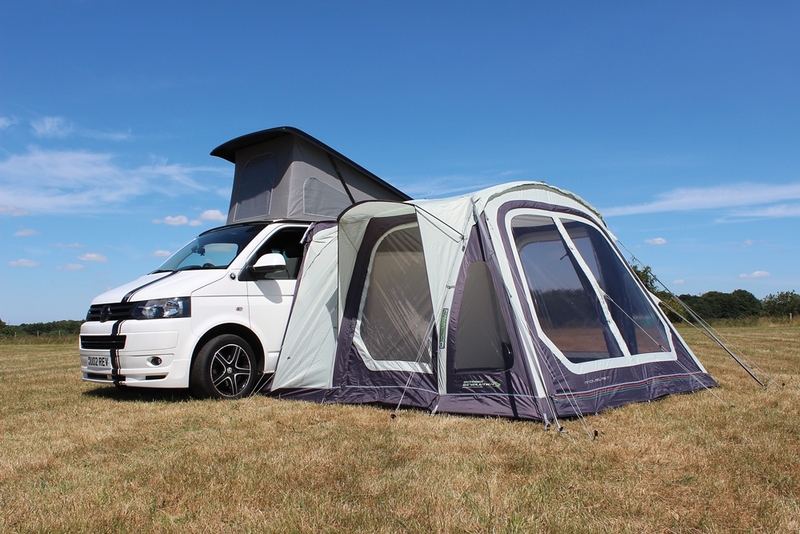 3) Movelite T2 Highline – Designed for Taller, Van Based Motorhomes, Fitting Awning Rails Between 255cm-305cm Tall. Two Rear Cowl Access Doors - To Allow Access to the Vehicle Without Traipsing Through the Whole Awning, Featuring Waterproof Zips. Large Interconnecting Zip-Back Rear Cowl Door - Allowing Easy Vehicle Access.